Specialization:General orthopedics, post- operative rehabilitation, geriatrics,sports injuries, back pain and SI joint dysfunction. Melanie Henderson graduated from Ball State University with a Bachelors of Science in Exercise Science and Wellness. While she was there she was a member of Ball State's successful Division I Field Hockey team and she was co-captain for 2 years. Being involved in athletics, is what first peaked Melanie's interest in Physical Therapy. Melanie graduated from Widener University in Chester, PA in 2002 with a Masters of Science in Physical Therapy. Early on in her career, Melanie learned the technique of Myofascial Release which she utilizes regularly in her practice. Melanie believes that looking at each patient in a holistic manner is very important in order to help find the cause of their symptoms. 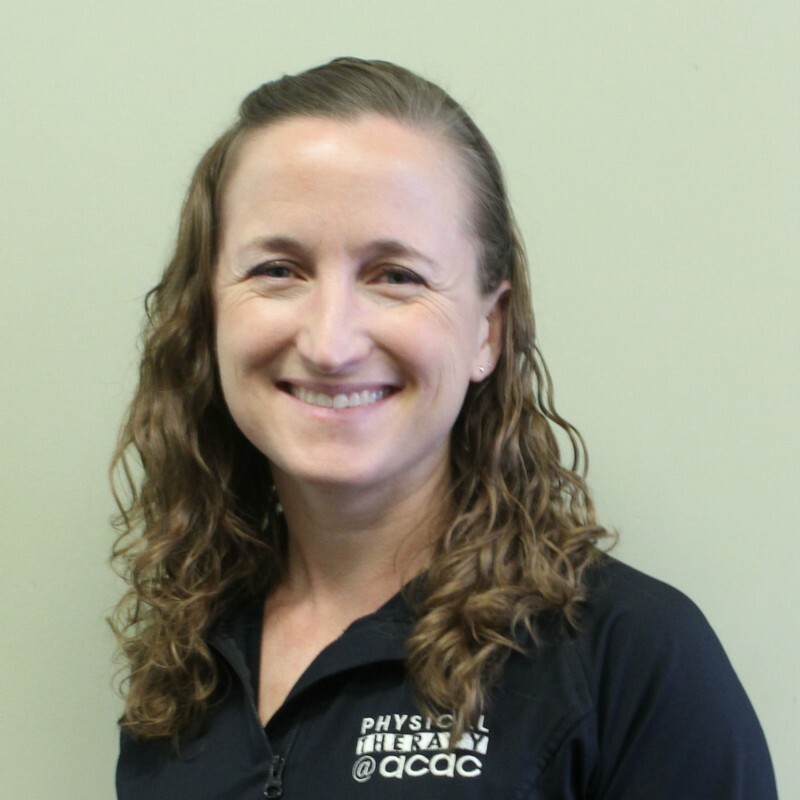 She likes working with patients of all ages, but has a special interest in working with patients with back pain and SI joint dysfunction, patients who have had joint replacements, geriatric patients, and with runners. In her free time, Melanie enjoys hanging out with her husband and three children. She loves to spend time working out with her husband and watching her kids participate in their sporting events (soccer, crew, basketball). She also enjoys trail running, strength training, hiking, and rock climbing.